Application: Used In Electronic & Pharma Industries To Avoid Ststic Current, And To Dust Free Atmosphere. The Fabric Is 100% Lint Free. It Can Be Wash 70-80 Times. Packing Available: 10pc/Poly Bag, 100pcs/Ctn. Application: Protection from Splashes from water or any kind of fluid also Used In Rainy Season/water Amusement Games And Wet Atmosphere. Easy to Wear & Compact Pouch Pack. Material: PP Spun Bond with Cabon Filter Layer. 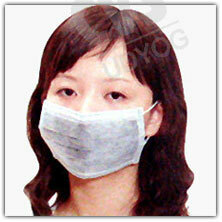 Features: Spp Mask Loaded With Active Carbon Pre-Filter, Breathe well * Protection Against Airborne Pleated Design. Its Main Cheracteristics Are As follows: Noxious Gas Defence, Deodorization, Bacterium And Dust Etc.It Can Stop The Dust Smller Then 5um And many Kinds Of Bacterium Spreading In The Breathing System. it is the Best Choice Of Doctors, Nurses And Patients. Packing Available: 25pc/Poly Bag, 500pcs/Ctn. Scientific Experiments. 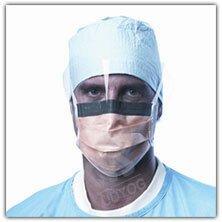 Material: Pet film Both Side Antifog, Antiststic, Optically Clear, Latex Free With Soft Elastic Strap And Vented Foam. Comfortable Convenient & Cost Effective. Features: This Item Is made Of Imported Anti Fog Plastic Film With An Excellent Protect Fog Efficiancy, ItCan Protect Aginst The Blood And Fluid Splash while Doctors Doing Operation, Here By It Can Prevent Infection From Patient. Packing Available: 10pcs/ Bag, 20 Bags /Ctn. Packing Available: 1000pc/Poly Bag, 20,000pcs/Ctn. 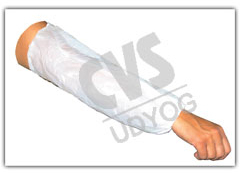 Features: Protects From Blisters, Stitches, Burns And Cust. Can Be Used For Suppositories, Hemorrhoidal Crems And Protects Finger Wounds From Water, Dirt And Bacteria. Also used in electronic assembly unit. 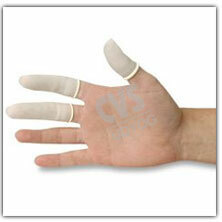 General Purpose Finger Cot : General Purpose Finger Cot is Made Of 100% Natural Latex In Rolled Style. Colors Available: Model no. 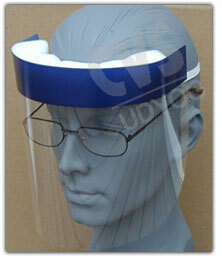 C V S-SY008a: Transparent /Blue Model no. C V S-SY008b: Green/Blue. Packing Available: 100pc/Poly Box, 1000pcs/Ctn. 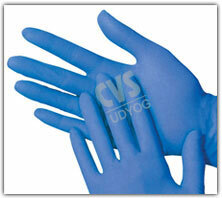 Application: BUesd In Laboratories/Hospitals For Hand Protection From Infection And Chemicals. Model no. 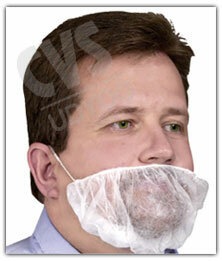 C V S-SY008b: Best to use with IPA solution. Packing Available: 100pcs/Poly Bag, 2000pcs/Ctn. Application: Used To Protect Food And Other Hygenics From Hair Fall From Beard. 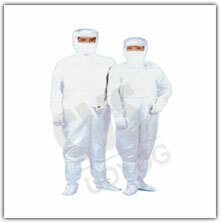 Features:This Product Is Combined One Of High -Transparent Anti Fog Film, Can Prevent Splash Blood Fluid From The Patient Virus Barrier When Dispose Caring Operating And Emergency. Application: Used For housekeeping & maintainece to protect ur hands from various chemicals in hospital & industry.